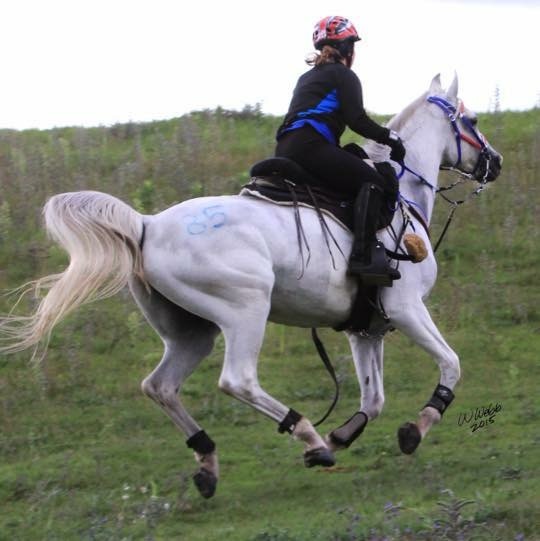 I started endurance riding in 2002, prior to that I competed for 15 seasons of competitive trail with approximately 9,000 miles. Currently I own 7 Arabian horses, 4 of those competing and 3 young prospects. My horse Synthetic +/ Statistic X BHR Tamersyn (Asgard Arabians) and I have shared the trails for 11 seasons and now he is a decade horse in AERC. We were on the USEF short list for the World Championships in 2010, 2012, 2014. Together we represented the U.S. in Chile for the Pan American Championships in 2011. Competed in the NAETC twice, 2013 5th and 2015 3rd (Bronze medal). He has earned his elite status twice through USEF (Sub nine hour hundred) Recently (2016) he was First to finish/BC at Broxton Bridge FEI 80K and First to finish/BC at the Vermont 100. Other opportunity that I have been blessed to enjoy. Crewed for the Young rider world championship, Abu Dhabi 2011 and Chile in 2015. 2015 and 2016 competed in Dubai, UAE at the H.H. Sheikh Mohammed Bin Rashed Endurance cup.